He said he kept going vegan a secret from his colleagues at first, as he 'was worried about them making jokes'. But eventually he ditched the job to work for a vegan meat company. A former butcher has revealed how watching animal rights documentary Earthlings made him go vegan. 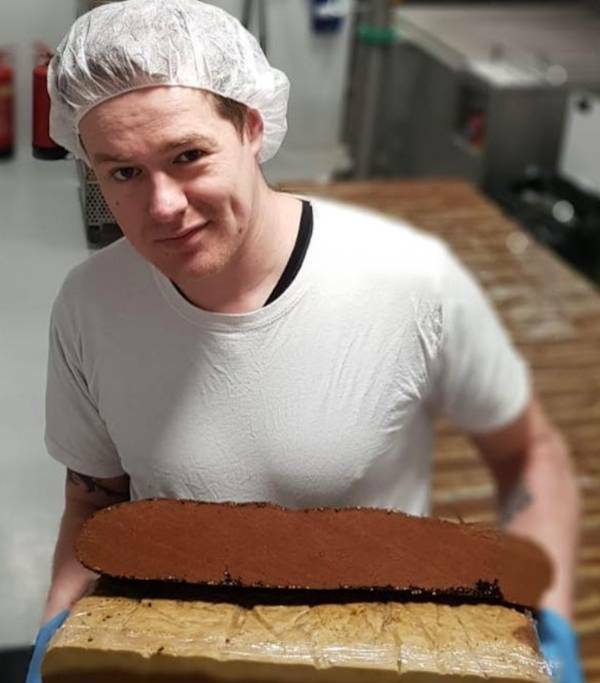 Brian Kavanagh,33, told the BBC that he'd been in the meat trade for more than 15 years - a job he took up at 16 to 'keep his dad quiet' - but that watching the film 'pushed him to make the change'. Now he works for Sgaia's Vegan Meats founded by Hilary Masin and Alberto Casotto, which makes a range of plant-based alternatives to traditional meat, including streaky bacon and steaks. "I kept it to myself," he said, speaking about when he first went vegan. "I didn't tell anyone [at work] because I was worried about them making jokes. "Before I just looked at it as a piece of meat going on a dinner plate but then you see it as an animal and not just a steak. I was a bit depressed, it just didn't feel good, so I had to leave." At first, he says he was worried that his background as a butcher might have ruined his chances at getting a job at Sgaia's Vegan Meats. "But they were really excited about it and wanted me just as much as I wanted to work there," he revealed. Sgaia describes Kavanagh as 'amazing'.